Some of you have perhaps noticed (and maybe used) the links and the RSS icons I have at the top of this page. 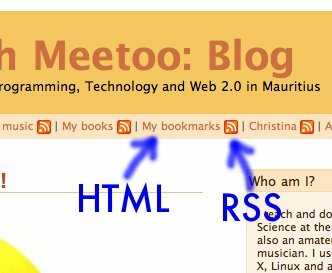 Until yesterday, clicking on “My bookmarks” brought you to my del.icio.us page as I use del.icio.us systematically to bookmark interesting web pages as soon as I come across them. And it works :)!!!!! Awesome! Loved the pipes. I still remember how people were being skeptic when pipes was released. 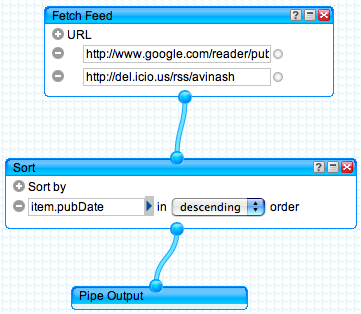 Yahoo Pipes is brilliant. Kudos to Yahoo and to you for using it.